Clarinetist Gregory Agid was born in San Antonio, Texas, and grew up in Honolulu, Hawaii. He got his first clarinet at the age of seven—and when his family moved to New Orleans five years later, Agid discovered jazz. After attending Louis Armstrong Jazz Camp, where he learned from legendary musicians Alvin Batiste, Kidd Jordan, and Clyde Kerr, Agid was accepted to the New Orleans Center for Creative Arts (NOCCA). Here, Batiste became his mentor. “Alvin Batiste once told me that the clarinet is also like a jealous mistress, and the moment you don't give her the attention she wants, she becomes spiteful and unruly,” Agid remembers. Agid’s NOCCA classmates included Grammy-nominated trombonist and trumpet player Troy “Trombone Shorty” Andrews, Grammy-nominated trumpet player Christian Scott, and pianist Jonathan Batiste. In 2005, NOCCA awarded Agid a grant to study with clarinetist Eddie Daniels at Daniels’ home in Santa Fe, New Mexico. 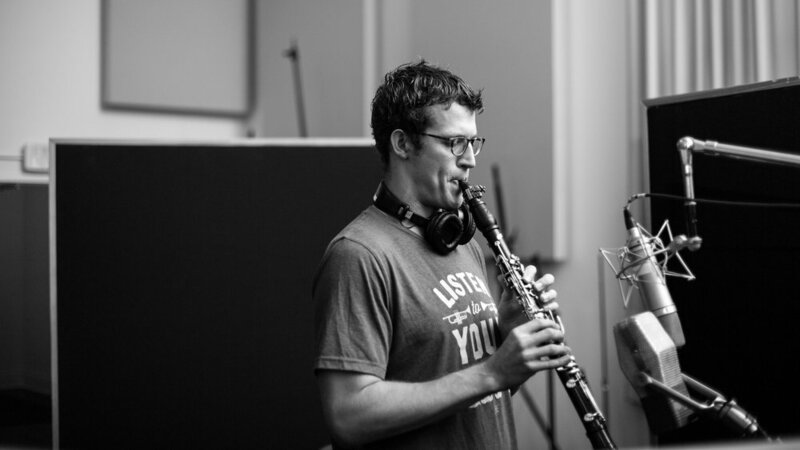 While earning his bachelor’s degree in clarinet performance from Loyola University New Orleans, Agid dove into performing. In addition to playing alongside Delfeayo Marsalis and the Uptown Jazz Orchestra, the New Orleans Jazz Orchestra, and Kristina Morales, he leads the Gregory Agid Quartet and performs regularly in the New Orleans area, Nationally, and Internationally. Agid graduated from Loyola in 2010, and released his debut album, Mystery Blues, in 2013. The following year, he completed his master’s degree in music at the University of New Orleans. Agid’s sophomore record, Words Are Not Enough, was released on winter 2016.